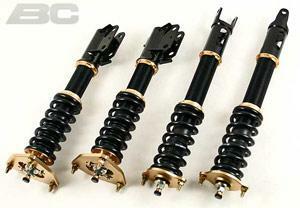 BC Racing coilovers are absolutely the best bang for your buck when looking for performance aftermarket coilover suspension for your vehicle. With endless amounts of applications and customization, we can custom tailor a kit to your specific needs. Different spring rates, valving, and extreme low additions at no extra charge to make sure your coilover kit is tailored specifically to your needs.